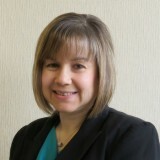 As the Benefits Manager for Alcott HR, Cara Calvin is responsible for the administration of all benefit plans. Cara understands how challenging and confusing benefits can be for small businesses, especially in light of the Affordable Care Act, and she takes the time to help clients develop a strategy that is right for them in terms of options, contributions and costs. She prides herself on crafting approaches that result in enhanced employee satisfaction, as well as improved recruiting and retention. In addition, Cara also assists clients with claims resolutions and answers benefit-related questions from employers and employees alike. Cara has more than 18 years of human resources experience, and she is a member of the Society for Human Resources Management (SHRM). In her spare time, Cara volunteers as a den leader and committee member for her two sons’ Cub Scout group.